Cape Town – We all know how expensive university is, or the cost of buying a car for your child, as well as how difficult it is for young people to afford to put a deposit down on a house. But there is a way to stay ahead of the savings game. “Give your child a gift that far surpasses the latest toy or gadget: Invest in a tax free savings and investment account (TFSA) on their behalf,” suggests Rupert Giessing, head of product development at PSG Wealth. A savings plan like this could solve the costly necessities, or benefit your child’s own financial future exponentially. It can also serve as an emergency fund, says Giessing. 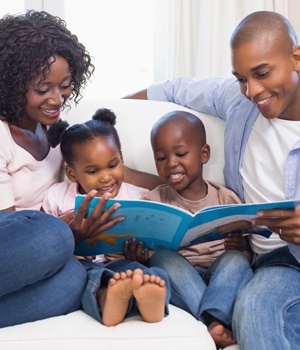 A TFSA can be held by any natural person who is South African, including children of any age. They were introduced to the market in March of this year as part of the government’s drive to improve South Africa’s savings culture. According to Giessing it would take 16.67 years to reach the tax-free savings lifetime contribution limit of R500 000 if you were to contribute the annual limit of R30 000. “If you start saving when your child is a toddler, you would have a sizeable sum of money that would easily cover university expenses and provide your child with a considerable financial head start,” he explains. However, you need not contribute up to the limit and you are allowed to stop contributing as you see fit. The minimum, or more affordable investment limits may be paid either monthly, quarterly or annually, depending on the product provider you choose. “The good news is that the investment will continue to grow, all the while adding up to a meaningful sum of money for your child,” he says. “It’s also an opportunity to teach your child about the importance of saving and how savings can grow when you exercise patience,” says Giessing. He cautions, however, that donations tax must be kept in mind when contributing on behalf of a child. It will not apply for the first R100 000 donated per person per annum – or R200 000 donated by a couple, for example parents or one parent and a grandparent – but will be levied at 20% thereafter. Failing to stay in the R30 000 annual limit and the R500 000 lifetime limit will further attract a 40% tax penalty in that tax year. A TFSA ensures that investors – the person whose name the account is in, in other words your child – will not pay any tax on the growth of the investment, or when the money is withdrawn. Money can be taken out of the investment at any time, but will not alter the contributions. “The limits of R30 000 per year and R500 000 per lifetime are strict in exchange for the tax free withdrawal benefit,” says Giessing. The person making the contributions – for instance the parent or grandparent – will, however, still be able to open his or her own TFSA.